Just stop by Haysville Health Mart Pharmacy and fill out the registration form. Return once a month for your free bottle of vitamins! Children ages 2-16 are eligible for the program. 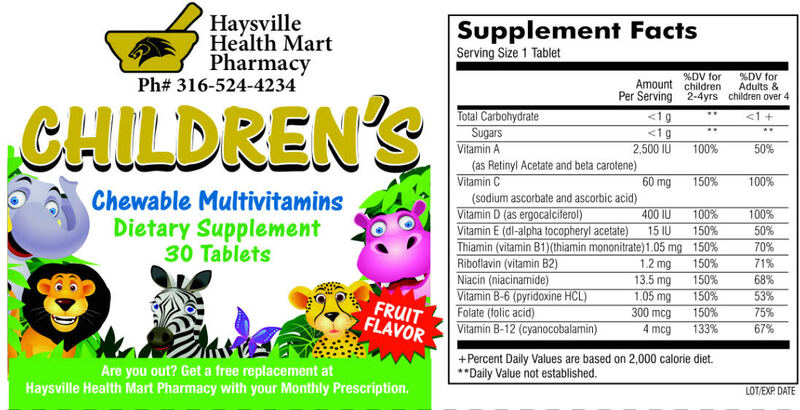 Feel free to bring your prescription with you when you pick up your vitamins too!